Do you recycle everything you can ? She has actually produced leather style fabric used for car seats, trainers, coats and handbags. The fabric is called Pinatex. Check out this link for an interesting and inspiring read. Pretty clever how something that can grow into a fab looking fruit, can taste amazing, can look great on a mantle piece as a decorative object and you can actually wear or sit on them. The next recycling creation that Is also going to be big in 2018. Everyday we recycle plastic bottles, cans and also Smartphone screens. 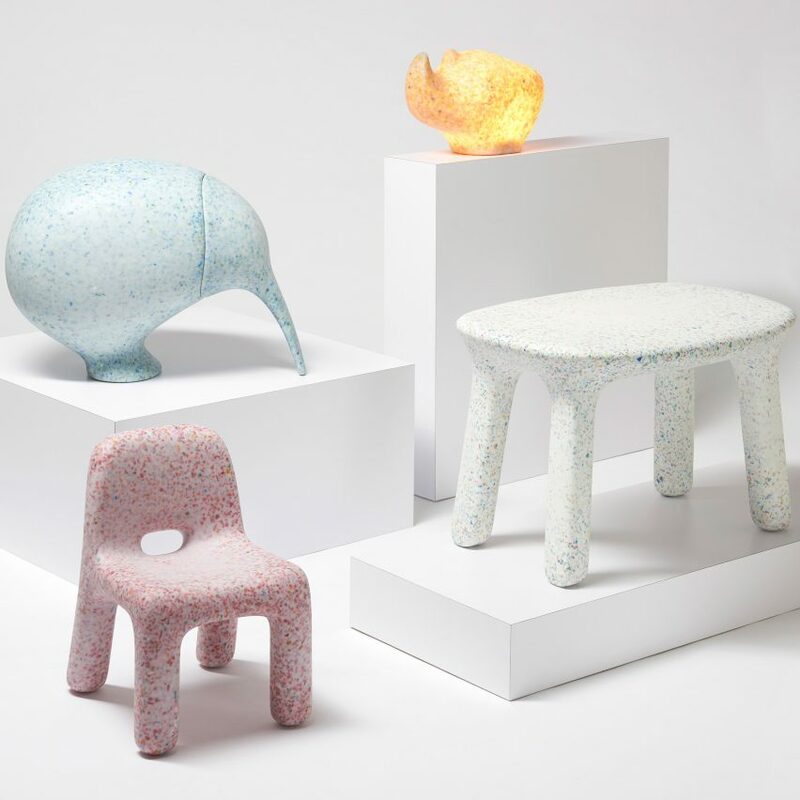 Well Ecobirdy have designed some fantastic children's furniture made from recycled plastic and is being launched this month at Maison Objet. They are produced in Europe and are 100% completely made of recycled plastic and are 100% recyclable. I was blown away recently with how countries within Europe recycle their plastics and bottles. They may charge a little bit more for say a bottle of beer in a supermarket or a plastic bottle of juice, but the consumer makes up for it when taking the bottles to a recycling point, where they one by one add them to a machine which then pays you back in money. Why isn't there anything like that in this country? am I missing something ? Please recycle where you can.